Information obtained from: Texas Historic Sites Atlas. 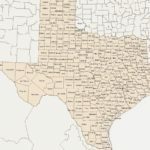 The Atlas features more than 200,000 historic site records, including Historical Marker inscriptions and National Register of Historic Places property photos, as well as museum exhibits and sawmill records from 52 East Texas counties. Marker Text: Around this mountain a battle was fought on January 8, 1865 between 2000 Indians and Texas Rangers and State Troops commanded by Captains John Fossett and S. S. Totten. Four officers and 22 of their men lie in unmarked graves nearby. Description: 2 1/2-story rusticated limestone structure with pressed metal roof, central clock tower is sheathed with galvanized iron in stamped patterns of classical details “Roman arch extrados terminating at sculptural features with simple foliated designs. (Built 1900-1901) First permanent courthouse for Irion County, locally organized 1889. Replaced temporary housing in several buildings. Site was gift of Mr. and Mrs. Frank Ripley. Contractors: Martin and Moody. Stone was quarried nearby. Courthouse was used for dances, teachers’ institutes, community events; yard, for summer socials. Enclosed to keep out grazing stock, approach was by a stile over fence beside which were water troughs and hitching posts for teams and saddle horses. A 1936 election made Mertzon county seat. Once pride of area, this is now a community center. Located among mesquite-covered hills on a town square once fronted by commercial buildings, the courthouse now presents a lonely appearance. The wooden commercial buildings are gone and an ornamental wooden fence that once surrounded the square, along with a windmill and tank, have also been removed. An attractive two-story stone-walled jail located near the south entrance to the courthouse has also been razed. The courthouse location and plan were typical of Texas tradition dating back to the first half of the nineteenth century. The structure is situated in the center of the old town square. The ground-floor plan is square with four entrances and corridors crossing at right angles, and had been employed for many other courthouses. In the four quadrants were three offices and a vault. However, the second-floor plan with the courtroom at the east end and jury rooms and stairway at the west is not so common. The manner in which projecting masses express the judge’s bench on the north and the stairway on the south are noteworthy features. The quarry-faced ashlar limestone is outstanding. Also noteworthy at each entrance, are the Roman arch extrados terminating at sculptural features with simple foliated designs and features encircling likenesses of owls. The “cornerstone” flanking the north entrance and bearing the name of the builders in high relief is also noteworthy. The construction of the building is typical of the period. Load-bearing walls are masonry throughout; these support 2 x 12 floor joists on the second floor and heavy wooden trusses at the roof. Wooden lintels are used throughout over wall openings. The roof is covered with standing-seam metal and the tower is sheathed with galvanized iron in stamped patterns of Classical details. On the interior, walls are plastered. A wainscot of beaded boards appears in the offices. Located in the west corridor the stairway with its newel posts and spindles is attractively detailed, and the courtroom has fine woodwork around the openings. Throughout, the woodwork is yellow pine. Overhead, stamped metal ceilings are still intact; the ceiling and cove in the courtroom are especially noteworthy. Since the building is square, the four facades are similar. The north and south elevations are identical as are the east and west elevations. On each side of the ground level are arched projections which create shallow porches. On the second story, these projections continue to the roof, creating an alcove on the east for the bench in the courtroom. On the north and south sides the projections creating the porches become nearly flush with the building wall, thus creating balconies. These balconies are decorated with slabs of limestone positioned vertically and horizontally to create the effect of a railing in recent years problems with water leakage have developed from these features. Window openings are spanned with both lintels and arches. All the office and jury room openings as well as the corner courtroom window openings have lintels of limestone and contain double hung sashes with two narrow lights in each sash. The stairway and center courtroom window openings are spanned with segmental arches and contain three-light transoms and paired double-hung sashes each of which is similar to those in the other openings. Following acquisition by the Baptist Church, to accommodate services, two interior load bearing walls were removed from the ground floor, and a truss was installed above the courtroom floor to support the second floor. Otherwise the building is in virtually original condition; few old Texas courthouses have more original fabric intact. The courthouse has never had plumbing installed; outside privies were used. The Old Irion County Courthouse possesses local historic and architectural significance. The building represents the early history of the county and it possesses fine architectural details. Located in West Texas, Irion County is primarily ranching country. The county was created from Tom Green County and organized in 1889, and named for Robert A. Irion, a doctor of medicine who practiced his profession in Nacogdoches, Texas, and who became a leader of the Republic of Texas. By 1890, the county population was 870 and in 1973 the population was only about 1,200. The Old Irion County Courthouse is distinguished architecturally by imposing form and attractive details, and historically by its role in the growth of West Texas. Designed and built by the firm of Martin and Moodie of Comanche, Texas, prominent West Texas contractors, the building has fine details of exterior masonry and of interior wood and metal work. The courthouse was completed in the spring of 1901 at a cost of $20,500. Two stories high, the building originally had four offices on the first floor and jury rooms and a courtroom on the second. The courthouse was used until 1936, when Irion County voted to move the county seat to Mertzon by a 453-222 margin. After it was abandoned by county officials, the courthouse was used by the Sherwood Homemakers Club until 1951, when it was bought and used by the Baptist Church. In 1966 a private owner bought the property and donated the use of it to the community of Sherwood. The annual Sherwood Homecoming has been held on the courthouse lawn in June since 1956. Marker Text: Created March 7,1889 Organized April 16,1889 Named in honor of ROBERT ANDERSON IRION, 1806-1860. Came to Texas in 1833 and located at Nacogdoches. Member of the first Texas Congress. Secretary of state in the cabinet of President Houston, 1837-1838. Sherwood, the county seat. War brought turmoil to Indians living in Kansas and the Indian Territory, with unfortunate results for Texans on the frontier. Most Cherokees, Choctaws, Creeks and Seminoles aided the South, while others adhered to the North. Few Comanches made a treaty with the South; but a great majority with their allies, the Kiowas, held aloof from either side and plundered the frontier at will. Apaches and Kickapoos die the same from Mexico. Texas and Confederate troops, despite poor arms and mounts, held defense lines until war’s end.